From irritating bites to disease-carrying bacteria, the problems fleas bring into your home make them one of the insects people dread the most. This guide will tell you which flea treatment methods are the most effective in eliminating fleas at every stage of development from your home. Safety: Check manufacturer's instructions to ensure that a particular treatment is safe for your pet, and do not treat newborn puppies, kittens or pregnant animals. Different treatments work better during different stages of a flea's life cycle. Use a combination of treatments for best results. Consult the chart to learn which treatments should be used and when. There are a number of different treatment options that can be combined in various ways to solve a flea problem, including insect growth regulators, organic treatments and more. Insect Growth Regulators (IGR): These chemicals prevent larvae from developing. Safer than traditional insecticides, they help ensure your pet won't become ill from pest treatments. Common types include methoprene and pyriproxyfen. Natural flea treatment: Adding a small amount of raw, unfiltered apple cider vinegar to your pet's water or food may deter fleas from biting; always consult your veterinarian before making changes to your pet's diet. Spraying your pet with a diluted, flower-scented shampoo may also prove effective in preventing fleas. Multipurpose products: Fleas aren't the only pesky parasites that attack dogs and cats. 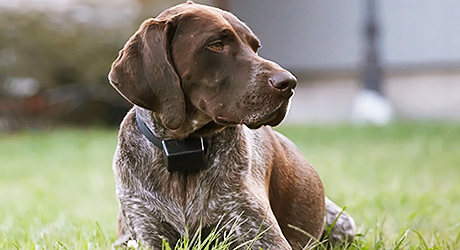 Look for flea collars that prevent ticks and other pests in addition to fleas, as well as oral medications that prevent worms. Systemic treatments: These oral medications are usually administered monthly and prevent flea eggs that have been laid on your pet from hatching. The first step in effective flea treatment is to address any infested pets when you first notice fleas on them. Not only does this provide relief for your furry friend, but it starts to get control of the flea problem at the source. Use a fine-toothed metal flea comb to remove adult fleas from your pet; flick the fleas into a basin of soapy water where they will drown. Wash your pet in specially formulated flea shampoos to remove both eggs and live fleas. Spot treatments are applied between your pet's shoulders and protect it from getting new fleas for a month or more, depending on the strength of the product and the size of your pet. Flea collars help deter new fleas as well, though you'll want to use other treatments concurrently for maximum effectiveness. Treating your pet will go a long way toward solving your flea problem, but you must treat your home to prevent your pet from attracting more pests. Thoroughly vacuum your pet's favorite spots, particularly where it sleeps. Immediately after vacuuming, seal the vacuum bag in plastic and dispose of it outside before fleas have a chance to escape. Be sure to treat baseboards, windows, doorframes and other areas fleas may try to hide. Continue to vacuum consistently to reduce the chances of another buildup. Wash your pet's bedding, throw rugs and pillows to destroy fleas and eggs. Use foggers, powders, and sprays to kill fleas and inhibit their growth. Failing to treat a large flea population in your yard can undo all of the hard work you've done inside your house and with your pet. Remove dead plants and other debris where fleas can breed. Use sprays on patios, along foundations and under porches. Reapply flea sprays after rainstorms according to manufacturer's instructions. Regular watering and lawn maintenance combined with a healthy dose of sunshine should prove effective in controlling fleas in your yard. Apply extra treatments to damp areas that are protected from sunlight, such as crawl spaces.